I feel like it’s been a while since I wrote a proper favorites post, and those statistically tend to be among the most read stories on this blog. 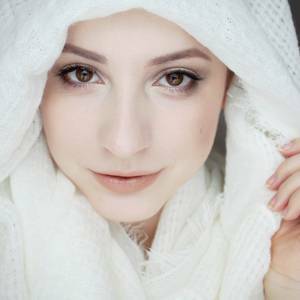 A quick note for those who are new here: yes, it is fairly common for beauty bloggers to share favorites that feature mostly new releases. If that’s what you prefer, my “favorites” might disappoint you. In these posts I share only products that are truly beyond compare, that stand out among all others, regardless when they were released. Basically, you might see some really-really old stuff here that I still adore. To make things more competitive and as a personal challenge to myself, from now on I will only feature the single top product in each category vs the usual 2-3 that are all equally awesome. Intrigued? 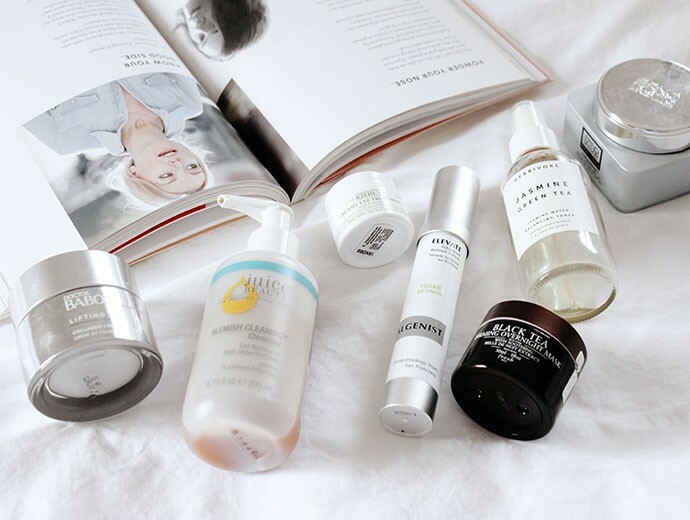 Without further ado, here’s the skincare I loved in March! 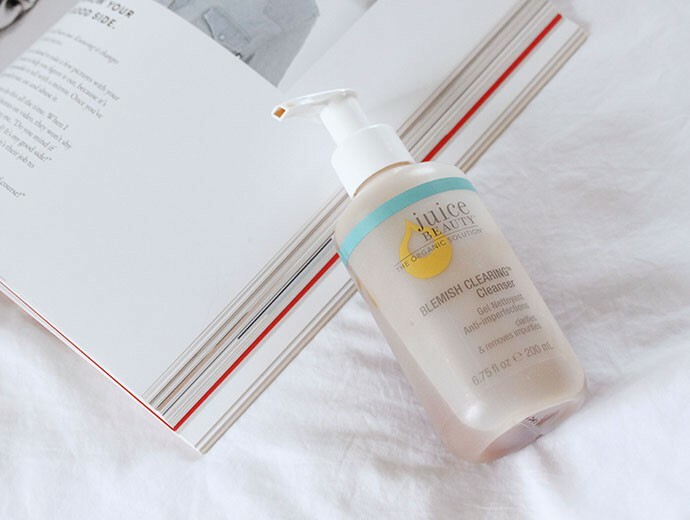 1 // CLEANSER – Juice Beauty Blemish Clearing Cleanser ($24). You probably heard of Juice Beauty, even though this clean beauty brand is still pretty low key. I don’t love all of their products, but this cleanser is fantastic! I re-discovered it when shopping my stash and decided to give it another try. Obviously, individual results will vary, but it worked really well to control my breakouts without stripping the skin of moisture. It doesn’t have the most pleasant aroma – the cleanser looks and smells like apple cider vinegar with the consistency of liquid jelly. I really don’t mind, since that fragrance doesn’t linger. The formula has a mildly acidic pH 4.5-5.0 when mixed with our tap water, which is just perfect for optimal skin health. 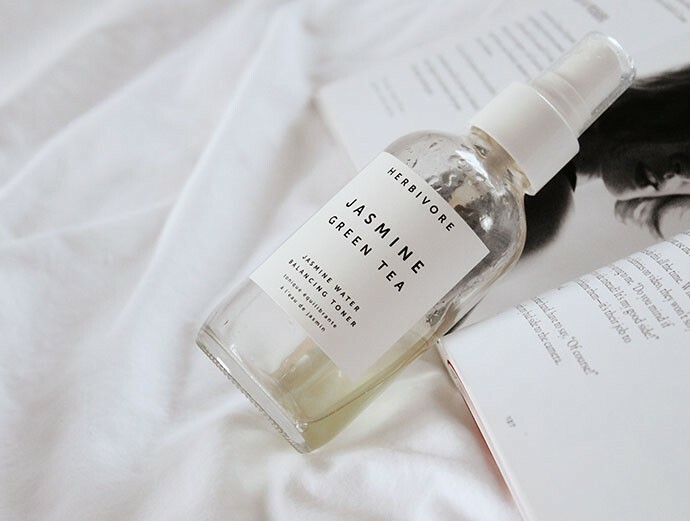 2 // TONER – Herbivore Botanicals Jasmine Green Tea Balancing Toner ($39). 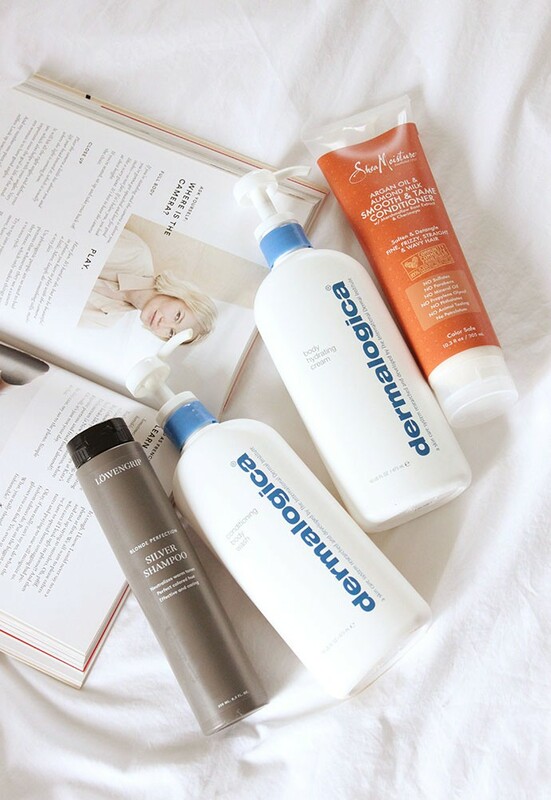 I won’t always have a toner on my favorites list because, frankly, I don’t find them essential for my beauty routine. However, this one from Herbivore Botanicals has been a constant favorite for many months now, and I am finally about to finish my last bottle of it. I know I just said that it’s not essential, but there’s something special about this one. The formula works wonders to re-hydrate and soothe the skin after cleansing, and the light scent of jasmine is totally magical. I’m very tempted to buy another bottle, but I think I’ll wait and test something else instead. 3 // SERUM – Algenist ELEVATE Advanced Retinol Serum* ($98). It was nearly impossible to pick a favorite serum because I have so many that I love. But if I had to give a crown to just one of them, it would have to be Algenist ELEVATE Advanced Retinol Serum. I am no stranger to retinoids and aim to always have one in my routine because Vitamin A is still one of the most effective anti-aging actives with an impressive science-proven track record. 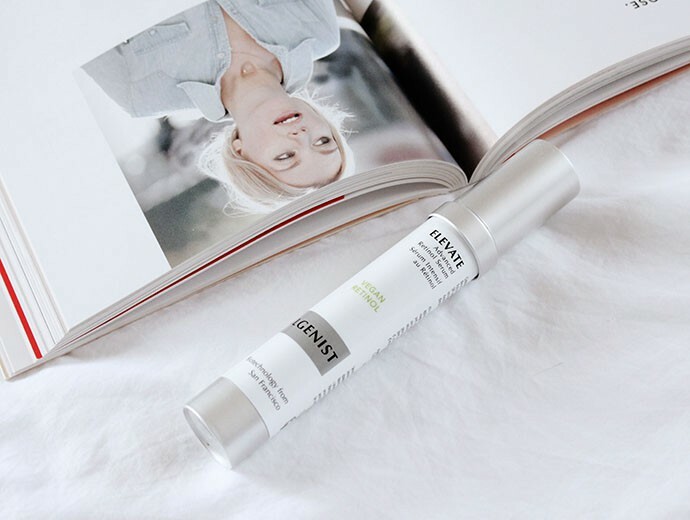 What I like about this serum is the effect vs gentleness: I rarely experience tightness and dryness associated with retinoids when I use it, but I also see very obvious improvements to my skin texture and firmness. Even though skincare is YMMV, this is the serum I always recommend to my friends and family who ask about my favorite anti-aging products at Sephora. 4 // EYE CREAM – Kiehl’s Creamy Eye Treatment with Avocado ($48). Pretty sure I mentioned this eye cream before, but here I am using it again. The skin around my eyes has been so dry lately, and this is one of the few products that get things done. 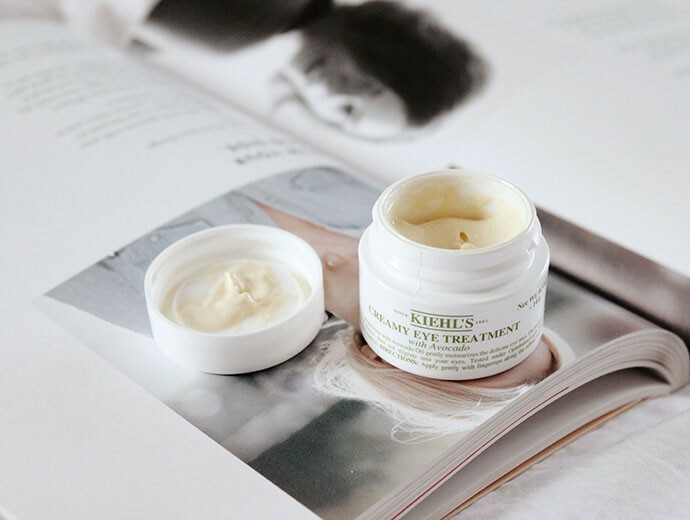 Kiehl’s Creamy Eye Treatment with Avocado is a cult classic for a reason – the formula is extra lush and creates a protective layer you can actually feel, without looking greasy or messing with your makeup. 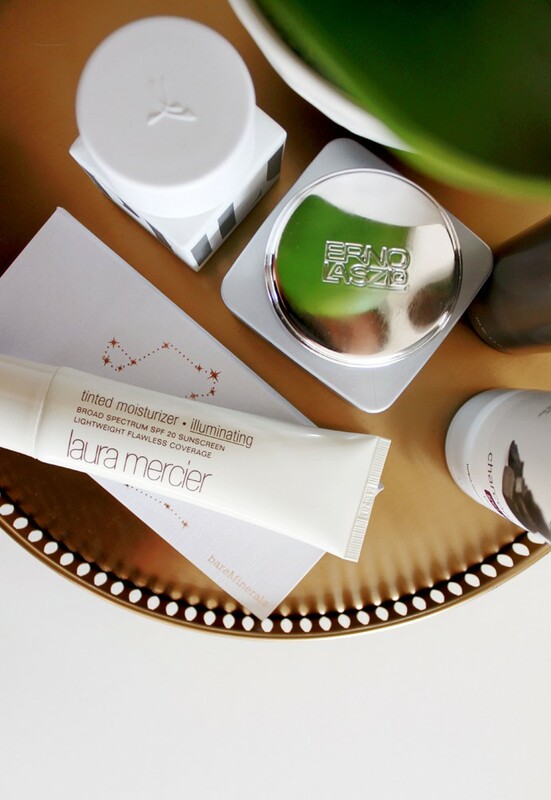 My skin feels just as hydrated and protected in the evening as it does when I first apply the product in the morning. Word of caution: don’t use this eye cream on oily skin because it contains oleic-rich ingredients which could potentially cause breakouts because of their ability to thicken sebum [to preserve the moisture barrier]. 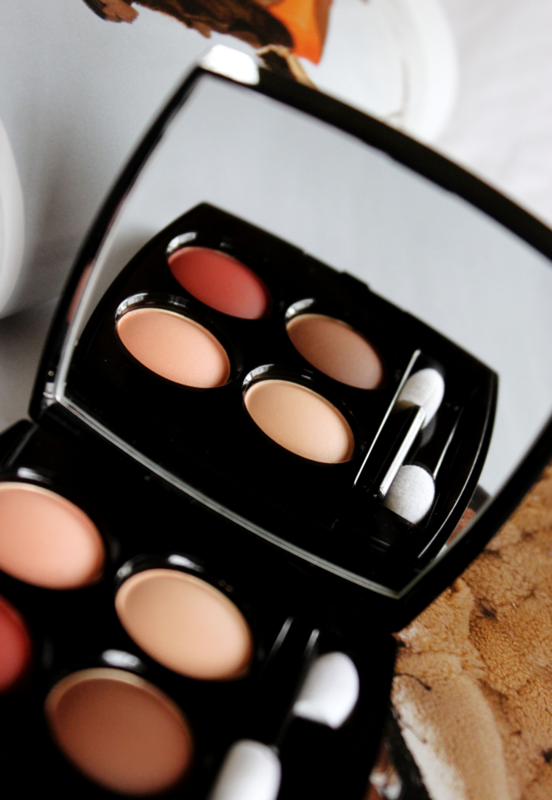 It will work best for someone with dry to normal skin types. 5 // MOISTURIZER – Babor Lifting Rx Collagen Cream* ($155). One of the newest additions to my routine and also the most unexpected favorite. 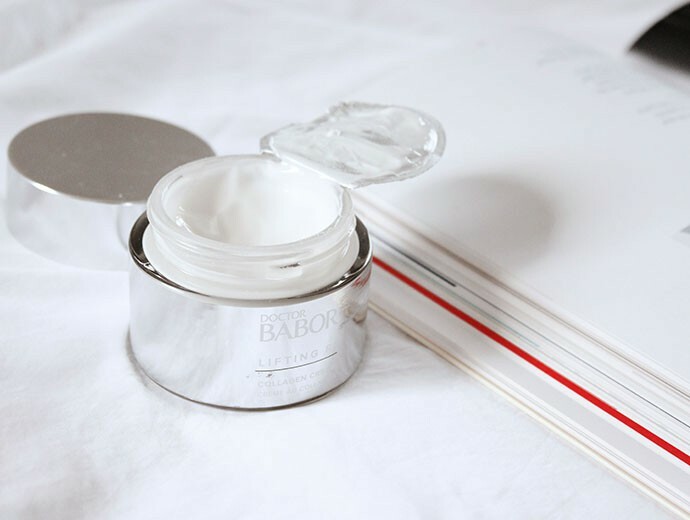 I generally like Babor products, especially their glass ampoules, but I was never really in love with them to the point where any of them would be HG. This moisturizer is the only product from the brand that I instantly fell in love with and have been using non-stop ever since the day I opened the jar. First of all, it has the creamiest texture ever! Have you ever had a Noosa yogurt? It has that same heavenly consistency. This formulation with 2% tripeptide solution, marine collagen, and hyaluronic acid promises to smooth the appearance of fine lines and wrinkles, make the facial contours appear tighter, and improve the skin’s hydration levels. In my experience, it did exactly that, and made my skin look and feel so youthful and smooth after every use. Lifting Rx Collagen Cream has glowing 5-star reviews everywhere if you google it, and you can add mine to those as well. Absolutely beautiful product, we need more of these on the market. 6 // SPF – Erno Laszlo Firmarine Moisturizer SPF 30* ($100). 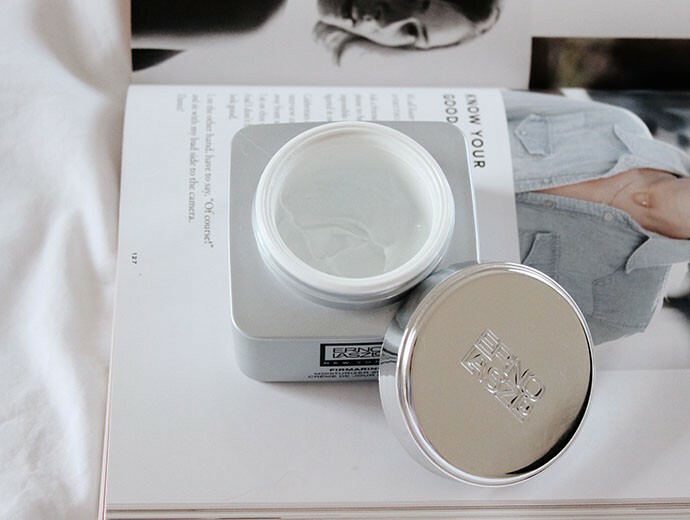 This one won’t surprise you at all – I am still head over heels in love with my Erno Laszlo moisturizer with SPF. I mentioned before that their products are a hit and a miss for me, and so far this one has been the biggest hit of them all. I pretty much adore everything about it, except for the packaging, because I prefer my products to be housed in pump containers instead of jars. I won’t let that minor thing take away from the beautiful formula that I’ve been enjoying for a while now. This formulation is as much a skin treatment as it is a sunscreen since it contains a plethora of anti-aging ingredients. Unlike most moisturizers with SPF, I can actually apply an adequate amount and not look like a grease ball. 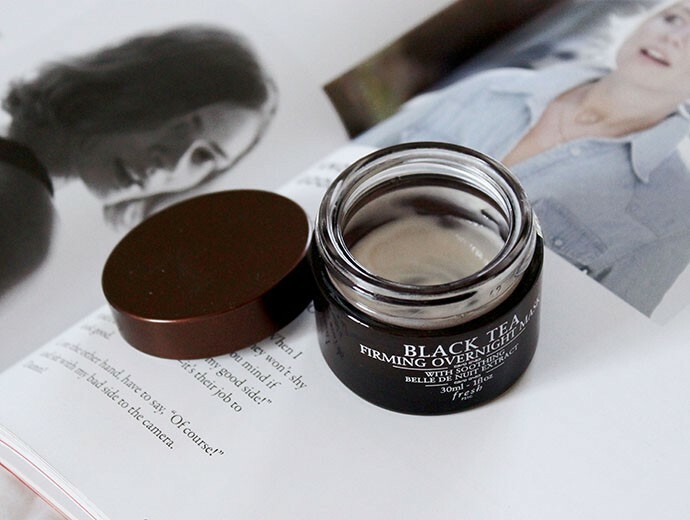 7 // MASK – Fresh Black Tea Firming Overnight Mask* ($92). I cheated because this isn’t really a mask in your typical sense of the word as much as it is a night cream. It has the consistency of a thick, stretchy paste – kind of like moist dough – and contains antioxidants, peptides, and Hyaluronic Acid. It’s just really moisturizing and nourishing without making the skin feel oily and greasy. After I wash it off in the morning, my skin just glows! 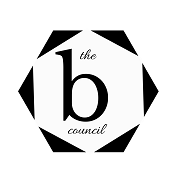 By the way, as the name suggests there will also be posts featuring my favorite bath & body products as well as makeup. Stay tuned for those in the next few days! P.S. 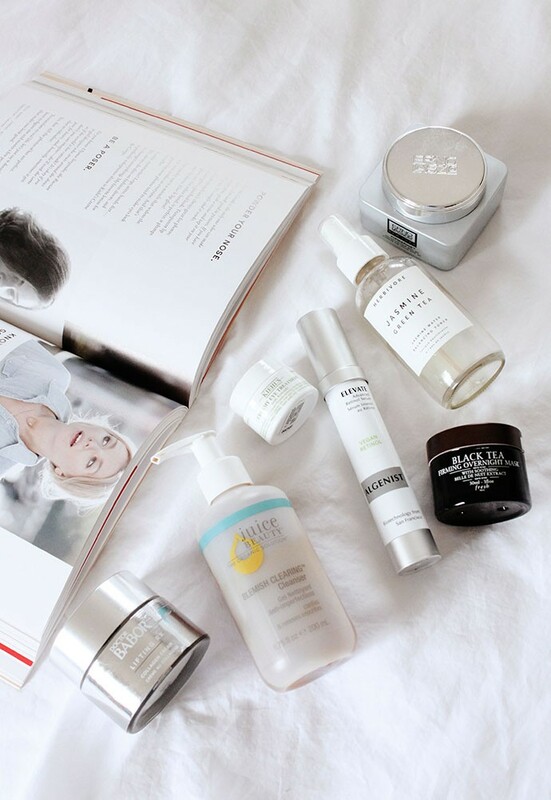 : If you want to see what my perfect skincare routine for 30+ skin looks like, check out this post! 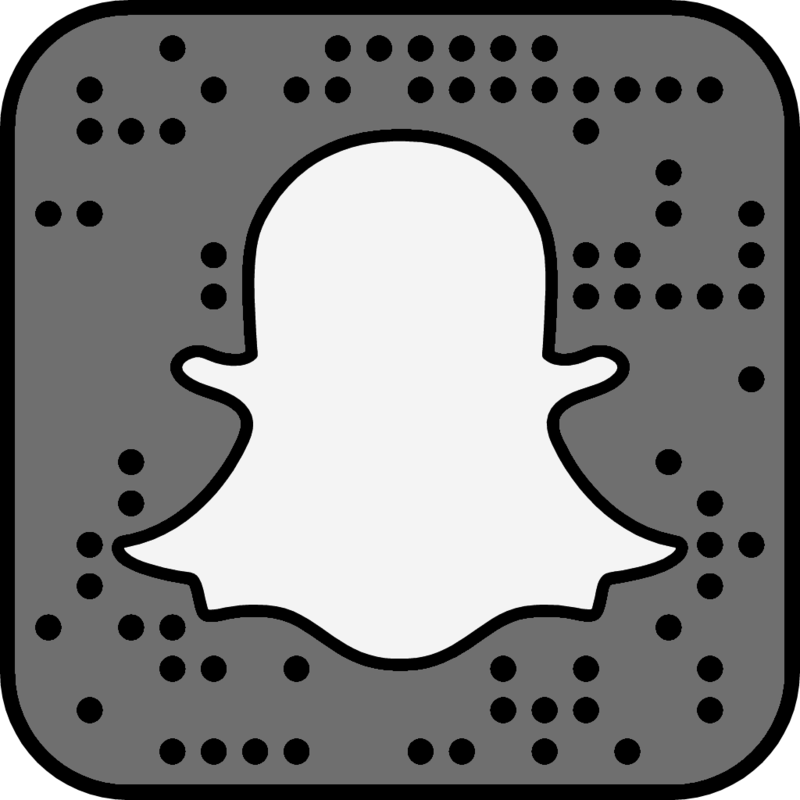 Many of the products above are mentioned there as well. Have you tried anything from my list? 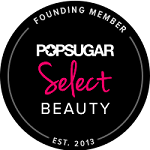 What are some of your personal beauty standouts? Share in the comments!